Former Director of National Intelligence James Clapper voiced his concern about President Trump's access to nuclear codes, following Mr. Trump's campaign-style rally in Arizona. "In a fit of pique he decides to do something about Kim Jong Un, there's actually very little to stop him," Clapper told CNN's Don Lemon, referencing North Korea's leader. "The whole system is built to ensure rapid response if necessary. So there's very little in the way of controls over exercising a nuclear option, which is pretty damn scary." Clapper, who served under both Republican and Democratic administrations and has long been critical of Mr. Trump, questioned the president's fitness to serve in office after weeks of seemingly self-inflicted controversies in the White House. In the last month, Mr. Trump has drawn criticism for his response to the deadly violence in Charlottesville, Virginia, turnover of senior administration officials, and floating or pushing military options in North Korea and Venezuela, among other things. On Tuesday night, the president used his platform to insult reporters, complain about Republican senators and defend his remarks in Charlottesville. Clapper called the president's Arizona speech, "extremely disturbing." "I really question his ability to be -- his fitness to be -- in this office, and I also am beginning to wonder about his motivation for it," Clapper said. Clapper shunned the president's "behavior and divisiveness and complete intellectual, moral and ethical void." "How much longer does the country have to, to borrow a phrase, endure this nightmare?" 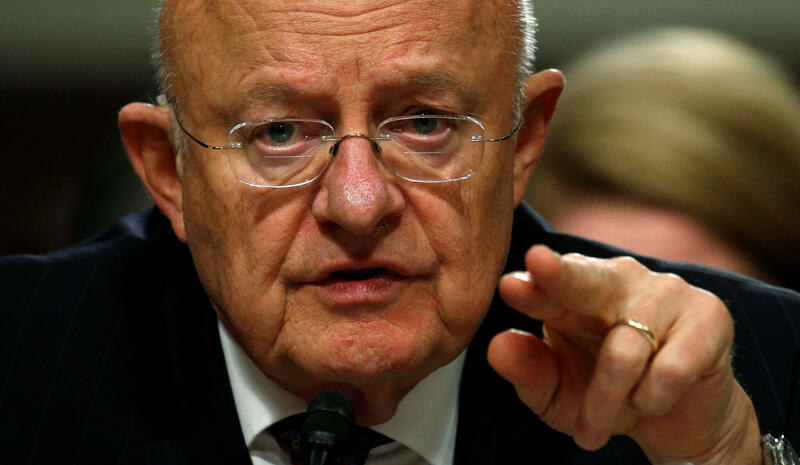 Clapper said. Clapper said Mr. Trump "should have quite while he was ahead," referring to Mr. Trump's Monday night speech on U.S. strategy in Afghanistan. In that speech, Mr. Trump stuck to the teleprompter, instead of going off script. Clapper said the "real Trump" came through in his Tuesday night rally.